One of the funniest movies of year, Norm of the North, coming out of Blu-ray and DVD this week, April 15. Not all bears born the same and you can see it when join the adventures of Norm and his friends. Displaced from their Arctic home, a polar bear and his three lemming friends wind up in New York City, where Norm becomes the mascot of a corporation he soon learns is tied to the fate of his homeland. If you did not a have a chance to watch Norm of the North in theaters earlier this year, now you can get a copy and enjoy adventures of Nor with a whole family. The all stars cast includes incredible voice talent from Rob Schneider, Ken Jeong, Heather Graham, Loretta Divine, Bill Nighy, Gabriel Iglesias, Colm Meany and Michael McElhatton. 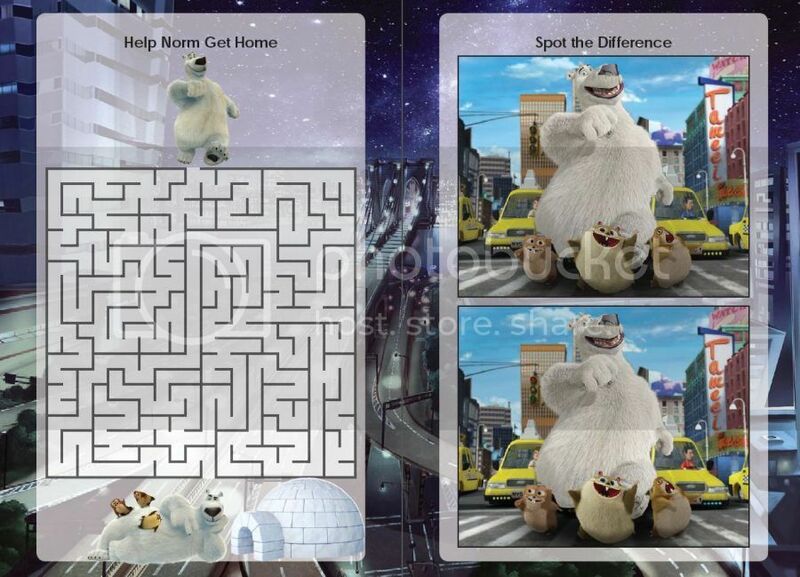 For young movie fans there is an amazing Norm of the North Activity Book to download, check it out. Kids can do Word Search, Word Scrumbles, help North in a labyrinth and more to keep little hands and minds busy. To celebrate this the loveable children’s film, we are happy to giveaway a copy of Norm of the North on Blu-ray/ DVD to one of our Canadian readers thanks to eOne Films Entertainment. Simply fill the Rafflecopter form below and Good Luck. The giveaway ends May 1st, 2016. The giveaway is listed on ContestScoop.com, please visit for more great contests. I would to like to win this movie combo for my granddaughter. I would love to win this for my granddaughter, she would love to see this movie!! I would love to win this movie for my son. I think we would have a blast watching it together! Would love to win for myself to have and watch with the step grandkids when they visit! For my son and wife and I...we like watching family movies. Who would you like to win this movie combo for? 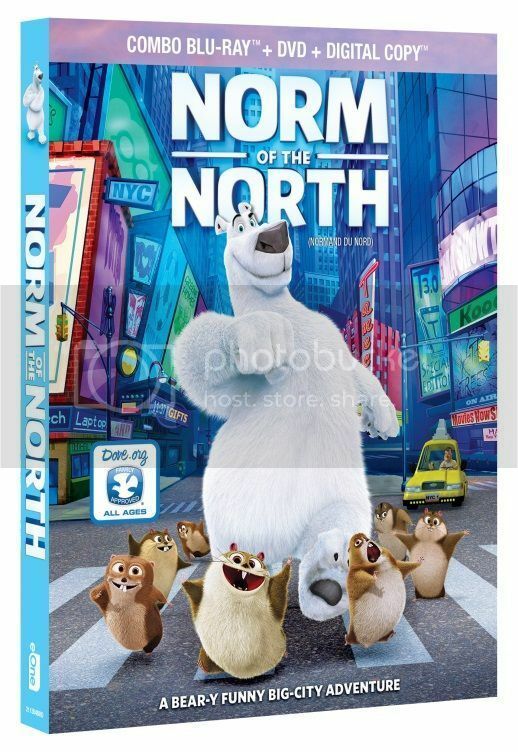 the Norm of the North Movie Bluray/DVD Combo for my nieces. I would love to win it for my husband. We really enjoyed it a the theater. little grandchildren.They would love it!! I would love to win this for when I have sleep over nights with my grandchildren. Great movies and snacks means great family memories created! Fun times! My little guys would enjoy this film. I'd love to win this for my sons! I would like to win this movie combo for my kids for our next family movie night. I would like to win this for our 3 kids. I would like to win this DVD for my grandson. I would love to win this for me son! Thanks!